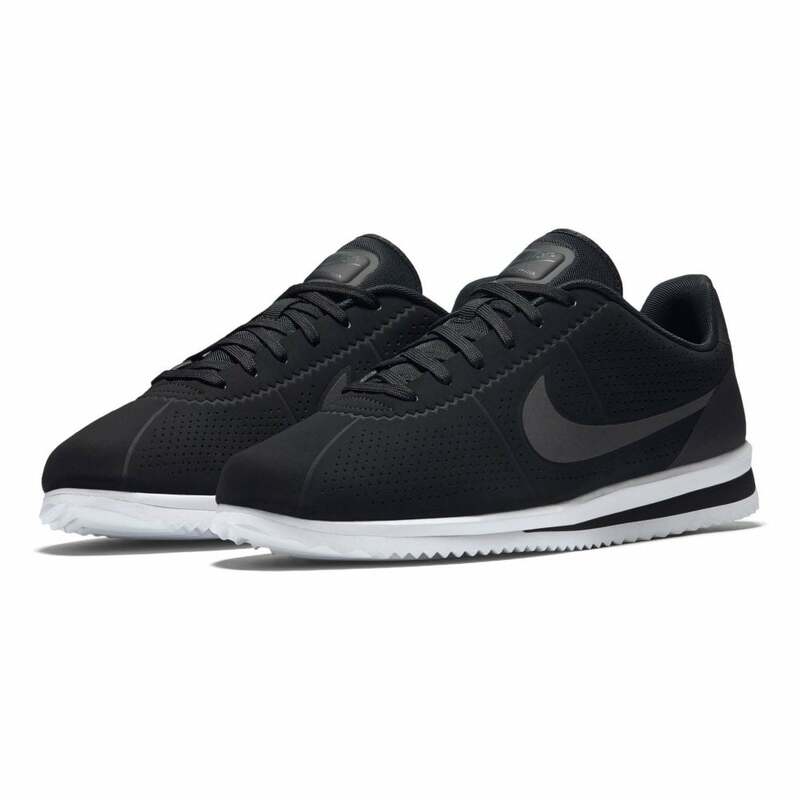 These lace-up Nike Cortez Ultra Moire Trainers have a synthetic upper and are black in colour. They have breathable air holes in the upper and a padded, breathable textile lining for comfortable all day wear. Nike Swoosh branding is printed on the sides with additional Nike branding on the tongue, heel and sole. The thick white split sole has a deep rubber tread for excellent grip.